So You Viewed My LinkedIn Profile…Now What? Should You Have Two LinkedIn Profiles if You Have Two Jobs? Stuck on What to Include on Your LinkedIn Profile? 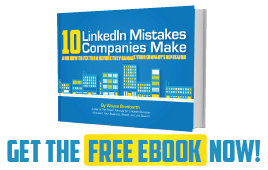 Is Your LinkedIn Profile Just the Beginning or is it a Dead End? Are You Serving Up Leftovers On Your LinkedIn Profile?